President Donald Trump’s administration has initially targeted about $250 million in new HIV/AIDS funding next year. But advocacy groups were quick to criticize Trump, given the administration’s repeated efforts to cut funding in the past. The ambitious State of the Union pronouncement has been undermined by President Donald Trump’s own actions. President Donald Trump has vowed to end the nation’s HIV epidemic in a decade — but to do so, he’ll need to win over skeptics in the health community and on Capitol Hill, tamp down concerns from faith leaders and navigate hurdles inside his administration. The ambitious State of the Union pronouncement has been undermined by Trump’s own actions: He’s tried to cut nearly $1 billion in global HIV/AIDS funding, roll back protections for patients living with the disease and strike down health benefits for LGBTQ Americans. More than 1 million Americans live with HIV and about 40,000 Americans — two-thirds of whom are gay or bisexual men — are newly infected every year. The administration has initially targeted about $250 million in new funding next year, steered mostly to the CDC and the health department’s Ryan White HIV/AIDS Program, according to three people with knowledge of the plan. Hundreds of millions of dollars in additional funding would be phased in over subsequent years, although the commitment could change significantly as the Trump administration works through the budget process. Trump’s health care team — packed with veterans of the George W. Bush administration, who helped launch Bush’s landmark global AIDS initiative — had hoped that the president’s announcement would have bipartisan appeal, said five individuals with knowledge of the plan. Some officials also saw an opportunity to more efficiently spend the billions of dollars being routed toward HIV/AIDS. “I fundamentally believe that we will look back on Feb 5, 2019, as one of the most important dates in the public health history of this country,” HHS Secretary Alex Azar told reporters this week, referencing the date of the State of the Union. The strategy would include focusing on transmission hot-spots and making medication more accessible. The goal of eliminating HIV transmission in the United States is widely seen as achievable by health experts, so long as there’s sufficient access to needle-exchange programs and other proven public health tactics. The Obama administration had laid out a similar strategy without a target date, and former President Barack Obama repeatedly pledged his goal of achieving an “AIDS-free generation.” The World Health Organization also has targeted the elimination of HIV transmission by 2030 around the globe. But advocacy groups were quick to criticize Trump — or in some instances, even pan his proposal outright, given the administration’s repeated efforts to cut AIDS funding and roll back protections for patients with HIV and other pre-existing conditions. Democrats also called on the Trump administration to reverse its current health care policies before they’re asked to approve hundreds of millions of dollars in new funding. “While I’m encouraged that President Trump raised the domestic HIV epidemic in his speech, those of us who have worked on these issues for years — in the community and in Congress — are justifiably skeptical,” said Rep. Barbara Lee (D-Calif.), co-chair and co-founder of the HIV/AIDS caucus and a former chairwoman of the Congressional Black Caucus. The strategy would require engaging with LGBTQ populations, along with undocumented immigrants and other groups. The White House has had a fraught relationship with minority lawmakers, including those in the Congressional Black Caucus, which has at times attempted to work with the administration only to watch Trump inflame racial tensions and publicly ridicule prominent African-Americans on Twitter. Multiple members said they have little confidence Trump will follow through on a proposal that focuses largely on aiding minority communities. Meanwhile, members of the faith-based community have quietly encouraged the administration to highlight the link between sexual behavior and the possibility of contracting HIV, said two individuals. Others have expressed worries that the initiative could benefit LGBTQ patients who don’t practice Christian lifestyles, or argued that this doesn’t need to be a top priority at all. “I think the faith community believes, by and large, that the epidemic has already been dealt with,” said one longtime activist who’s shared concerns about the strategy with HHS. 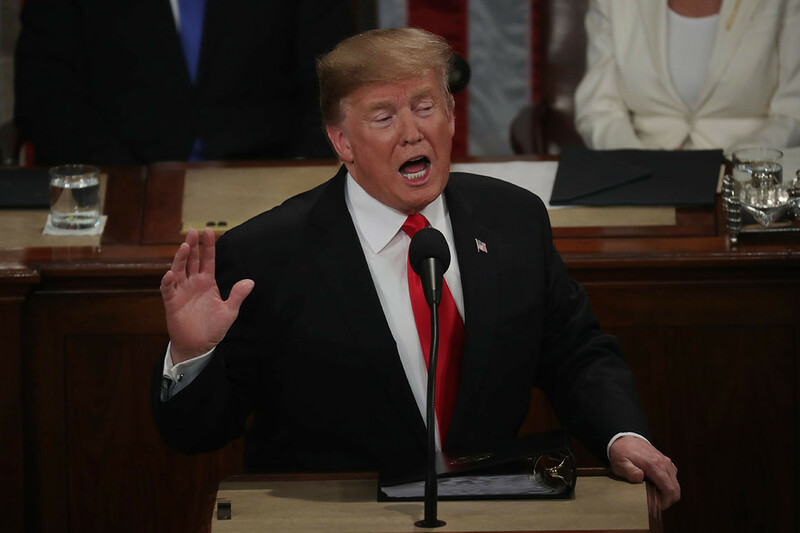 Trump’s proposal drew public silence from faith organizations like the Christian Medical and Dental Association, in contrast to the applause they offered for his State of the Union call for a ban on abortions later in pregnancy. Ken Blackwell — a senior fellow at the Family Research Council who said he consulted on Trump’s speech — conceded that he and other Christian conservatives had reservations about making the HIV/AIDS push a centerpiece of the State of the Union and the final two years of Trump’s first term. But he told POLITICO he sees the effort as part of a broader political strategy to position the president for reelection by embracing new issues that hold broad bipartisan appeal. Some health care leaders did strike an optimistic note about Trump’s plan. Schmid, who has previously been critical of administration policies, was encouraged Trump used such a high-profile forum to showcase the initiative. CORRECTION: An earlier version of this story incorrectly identified Blossom Brown, an activist who works with the Human Rights Campaign.